The new design will transform the brick-paved plaza entrance to Neiman Marcus into a multi-story atrium with a glass façade welcoming pedestrians into an indoor garden with programmed activities and channeling visitors and shoppers to the retail stores. 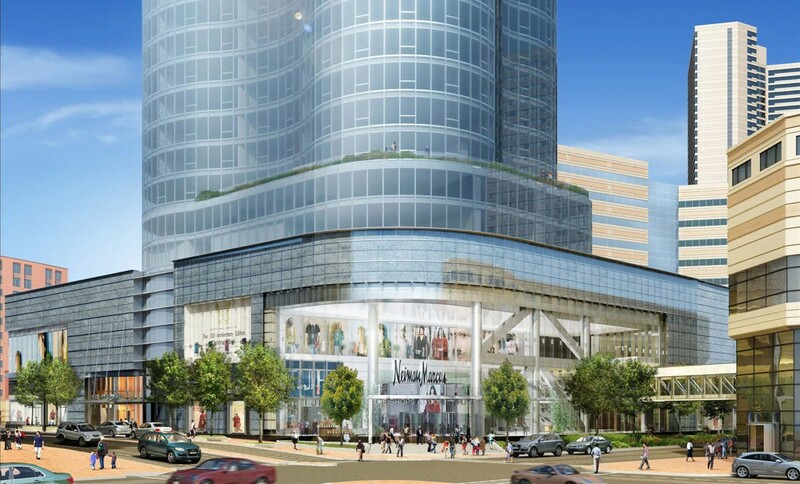 Copley Place was initially built on air rights above the Boston Extension of the Massachusetts Turnpike in the early 1980’s. 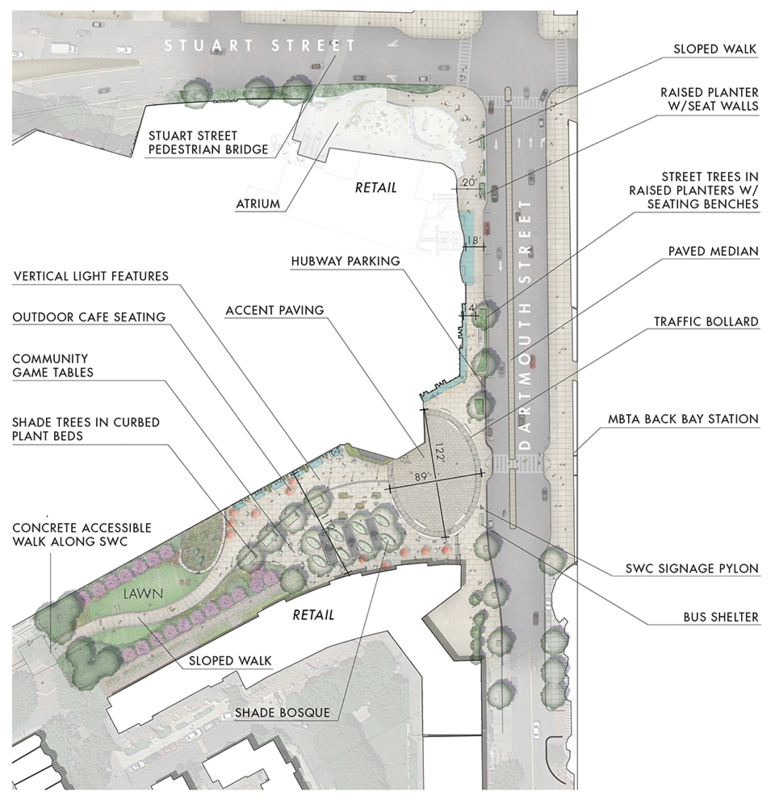 The site of this proposed retail expansion and residential addition occupies the southwest corner of Stuart and Dartmouth Streets at the border of Boston’s South End and Back Bay neighborhoods. 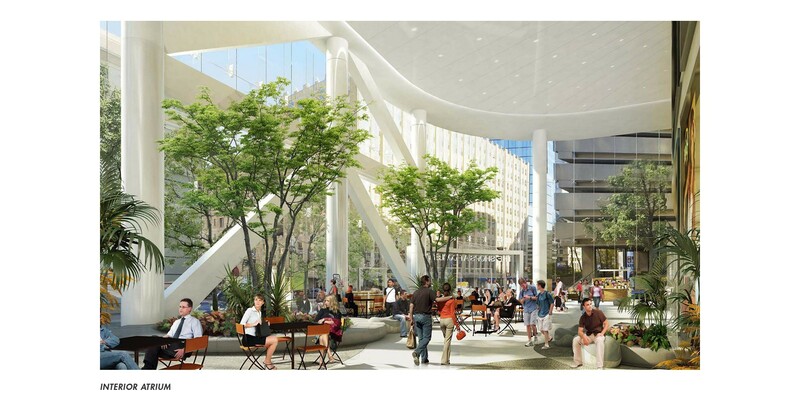 The site currently functions as a large brick paved entry plaza for Neiman Marcus and Copley Place. 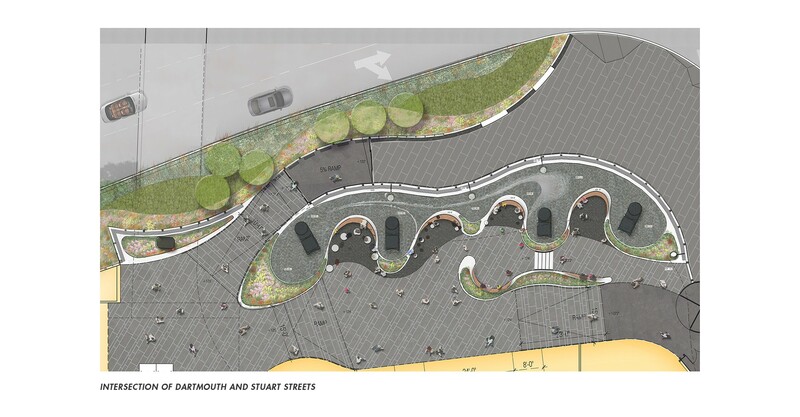 CRJA-IBI Group is collaborating with the project architects and the developer on the redesign of the Southwest Corridor park deck and the design of streetscape improvements along Dartmouth and Stuart Streets.